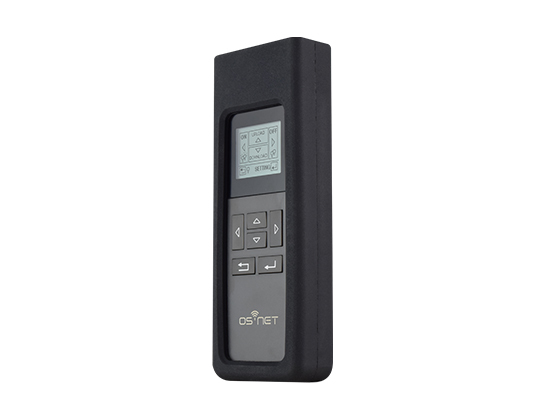 The SRP-281 is a handheld programming tool for you to configure the settings of OS-NET network and devices. In addition, it can also be used as a remote to manually turn on/off the OS-NET enabled lighting in individual/group basis. Use the remote to retrieve below information. 1. Press DOWN button on Main Menu to enter DOWNLOAD page. 2. Press DOWN button and navigate down until you find REMOTE INFO and press ENTER. 3. Remote info will be shown. 2. Press DOWN button and navigate down until you find DEVICE INFO and press ENTER. 3. Aim at the target device you wish to download info from, press ENTER and wait for screen to show DOWNLOAD OK.
4. Press ENTER to show data.